Affordable housing is an issue affecting almost every city dwellers in the world, and Bhutan is no exception. As per the Population and Housing Census of Bhutan (PHCB) 2017 report, people in urban areas spend more than 50 per cent of their income on housing thereby making affordability a concern. In line with this, a two-day conference on ‘A Well-Tempered Bhutan’- creating GNH cities and villages was held in Thimphu. The conference attended by the multi-stakeholders across the country discussed on the need for a national housing framework. Some of the factors leading to housing challenges in the country are rural-urban migration, increasing pressure on resources and lack of legislation. At the conference, Jonathan Rose, one of America’s leading thinkers and an author of the book ‘The Well-Tempered City’ made a presentation on creating more environmentally, socially and economically resilient, and equitable cities. He said Bhutan is rapidly urbanizing and it is a concern. According to the PHCB 2017 report, people owning houses in Bhutan are decreasing while people staying in rented houses are increasing. 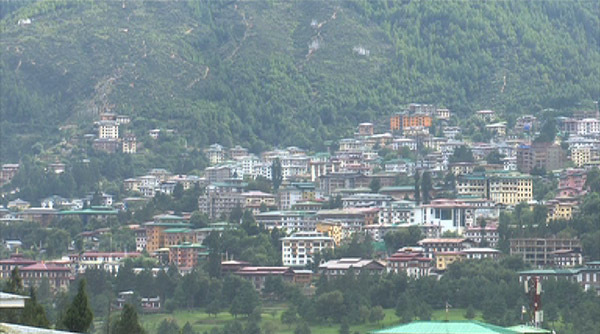 Unlike most countries, Bhutan does not have a single agency responsible for housing. “We have to develop strategies for the development of affordable housing. I believe we need to distribute affordable housing rather than build affordable housing clusters because those become slums. The best way to distribute it is to have affordable housing included in all development,” Jonathan F.P. Rose, said. Meanwhile, the new government in its pledge has included developing a comprehensive plan to provide adequate housing in urban areas, initiate green buildings and introduce home ownership schemes.